Nine-year-old, Nahkiaya, is one of many people with hearing loss to benefit from life changing technology – the cochlear implant. On Saturday 25 February, Royal Institute for Deaf and Blind Children (RIDBC) will be celebrating International Cochlear Implant Day, and the timely biography book launch of SCIC Cochlear Implant Program’s Founding Director, Professor Bill Gibson AO. Professor Gibson moved from his position as a leading ENT consultant in the UK to become the inaugural Professor of Otolaryngology at the University of Sydney in 1983. The following year he performed the very first cochlear implant operation in New South Wales. He never stopped striving to help people with hearing loss in Australia and around the world and by 2005 he had implanted 1000 people, which represented one third of all the people in Australia with the bionic ear. Today, one in six Australians is deaf or hard of hearing. As technology advances, there are more possibilities than ever before for Australians with hearing loss to thrive in all aspects of family community and working life. To mark how cochlear implants have transformed the lives of thousands of recipients around the world, RIDBC is planning a day of celebration and awareness on February 25 and invites families and the local community to come and enjoy a fun-filled day at SCIC Cochlear Implant Program, a service of RIDBC. We will be offering free hearing assessments on the day and will be bringing together and sharing the success stories from cochlear implant recipients as well as the professionals who work with cochlear implantation. The free event full of fun activities including a sausage sizzle, petting zoo and giant games for the family will be held at SCIC Cochlear Implant Program Gladesville, Building 39, Old Gladesville Hospital, Punt Road, Gladesville, from 11am – 3pm. The program provides the highest level of care and support through a seamless, end-to-end suite of services, from early intervention and education for children with hearing loss; through to specialist assessment, surgical liaison and re/habilitation support for people of all ages. 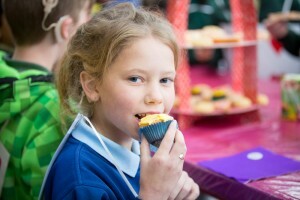 To learn more about RIDBC’s SCIC Cochlear Implant Program, visit ridbc.org.au/scic or call 1300 658 981. Copies of Professor Bill Gibson’s biography entitled, Bill Gibson: Pioneering Bionic Ear Surgeon will be available to purchase on the day at SCIC Cochlear Implant Program, Gladesville.